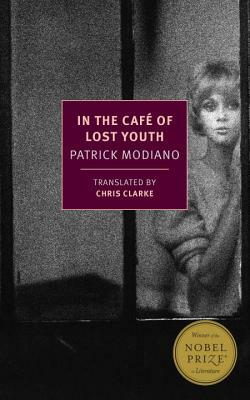 In the Café of Lost Youth is vintage Patrick Modiano, an absorbing evocation of a particular Paris of the 1950s, shadowy and shady, a secret world of writers, criminals, drinkers, and drifters. The novel, inspired in part by the circle (depicted in the photographs of Ed van der Elsken) of the notorious and charismatic Guy Debord, centers on the enigmatic, waiflike figure of Louki, who catches everyone’s attention even as she eludes possession or comprehension. Through the eyes of four very different narrators, including Louki herself, we contemplate her character and her fate, while Modiano explores the themes of identity, memory, time, and forgetting that are at the heart of his spellbinding and deeply moving art. Chris Clarke was born and raised in British Columbia, Canada, and lives and works in and around New York City. His published translations include work by Oulipo members Raymond Queneau and Olivier Salon. He currently teaches French and is translating a novel by Pierre Mac Orlan, which will be published in 2016.